Devin Lee , CCIM; Robin Willett; Jerad Roberts; and Jason Dittenber of Northcap Commercial Multifamily have announced the recent sale of Desert Manor, a mixed-use investment on an city block for $11,525,000. This sale consisted of 191 multifamily units; 6,364 square feet of retail space and 0.89 acres of land built in 1979, at 629 S. Main Street in downtown Las Vegas. This transaction closed on Aug. 8. Northcap Multifamily represented the seller 1060 Broadway LLC. 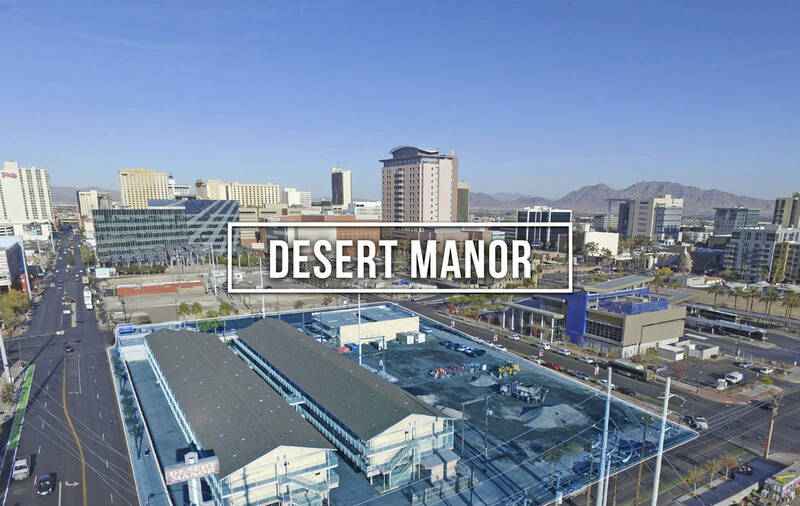 Devin Lee, CCIM; Robin Willett; Jerad Roberts; and Jason Dittenber of Northcap Commercial Multifamily have announced the recent sale of Desert Manor, a mixed-use investment on an entire city block for $11,525,000. 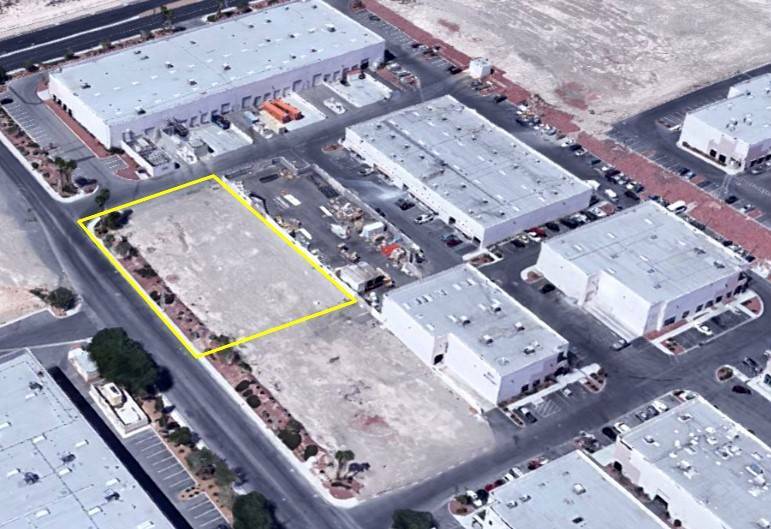 This sale consisted of 191 multifamily units; 6,364 square feet of retail space and 0.89 acres of land built in 1979, at 629 S. Main Street in downtown Las Vegas. This transaction closed on Aug. 8. Northcap Multifamily represented the seller 1060 Broadway LLC. • A sale to 3D Investments LLC. The approximately 14.50-acre Boca Raton Luxury Condominiums with 209 units is at 2405-2445 Serene Ave. The transactions value was $44,032,000. Tom Naseef, CCIM, SIOR; Garry Cuff, CCIM; and Jeff Naseef of Colliers International represented the seller, Palm Beach Resort Condominiums LLC. • Devin Lee, CCIM; Robin Willett; Jerad Roberts; and Jason Dittenber of Northcap Multifamily have announced the sale of Tammany Hall and Rochelle Manor Apartments for $7,475,000 ($50,168/unit). This sale consisted of 149 multifamily units built in 1972 at 4320, 4340 and 4386 Escondido St. The purchaser of this value-add opportunity plans extensive renovations to the property. This off-market transaction was a 20-day escrow and closed on July 25. Northcap Multifamily represented the seller, Indiana LLC. • An industrial land sale to Matter Real Estate Group. 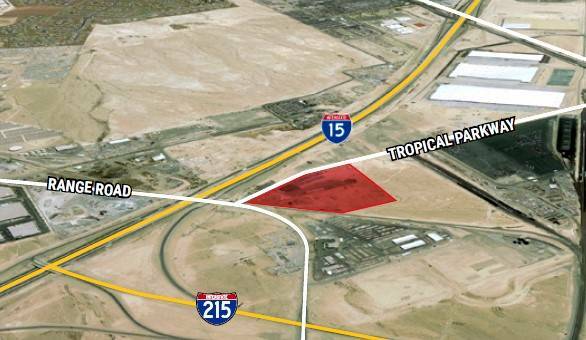 The approximately 32.75-acre parcel is at the northeast corner of Valley Drive and W. Cheyenne Avenue (APN: 139-07-801-015) in North Las Vegas. The transaction value was $7,132,950. Dan Doherty, SIOR; Paul Sweetland, SIOR; Chris Lane and Jerry Doty of Colliers International represented the buyer. • The sale of an office building was completed on July 30. The 21,651-square-foot property is at 370 E. Windmill Lane. The total value of the transaction was $6,470,000. CathyJones, Paul Miachika, Roy Fritz, Jessica Cegavske, Jennifer Lehr and Taylor Vasquez of Sun Commercial RealEstate Inc. represented the seller, Windmill Place LLC. • A sale to Polar Shades Inc. The 36,019-square-foot industrial property is in Interstate Business Park at 5520 Stephanie St. The transaction value was $4,400,000. Dean Willmore, SIOR, of Colliers International represented the seller, NGP Stephanie LLC. 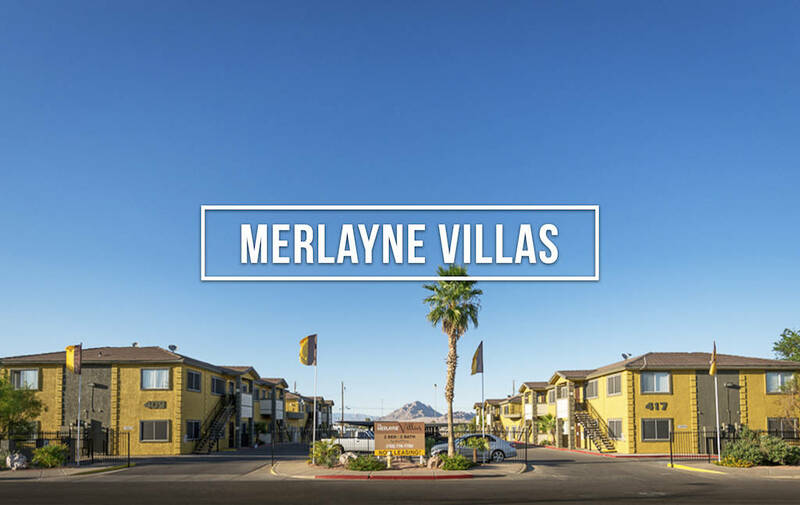 • Sale of Merlayne Villas Apartments for $2,800,000 ($87,500/unit). This sale consisted of 32 multifamily units built in 1994, at 409-417 E. Merlayne Drive in Henderson. This off-market transaction closed on Aug. 23. Northcap Multifamily represented the seller, HKAS Ltd.
• The sale of an industrial building was completed on July 24. The 20,271-square-foot property is at 3900 Ponderosa Way. The total value of the transaction was $2,736,000. Cathy Jones, Paul Miachika, Roy Fritz, Jessica Cegavske, Jennifer Lehr and Taylor Vasquez of Sun Commercial Real Estate Inc. represented the buyer, Steve Menzies and Colliers International represented the seller, FJM Valley View Associates LLC. • A sale to Ponderosa View LLC. The 20,271-square-foot industrial property is in Stadium Industrial Park at 3900 Ponderosa Way, Building 4. The transaction value was $2,736,000. Greg Pancirov, SIOR, and Mike De Lew, SIOR, of RealComm Advisors represented the seller, FJM Valley View Associate, LLC. • Sale of Merlayne Villas Apartments for $2,800,000 ($87,500/unit). This sale consisted of 32 multifamily units built in 1994, at 409-417 E. Merlayne Drive in Henderson. This off-market transaction closed on Aug. 23. Northcap Multifamily represented the seller, HKAS Ltd.• A sale to McBeath Holdings LLC. The 21,114-square-foot industrial property is in Sandhill and Post Business Park at 3643 E. Post Road. The transaction value was $2,705,000. Dean Willmore, SIOR, of Colliers International represented the seller, Jacob 3 LLC. • Marcus & Millichap has announced the sale of Azure Park, a 32-unit apartment property. The asset sold for $2,300,000. 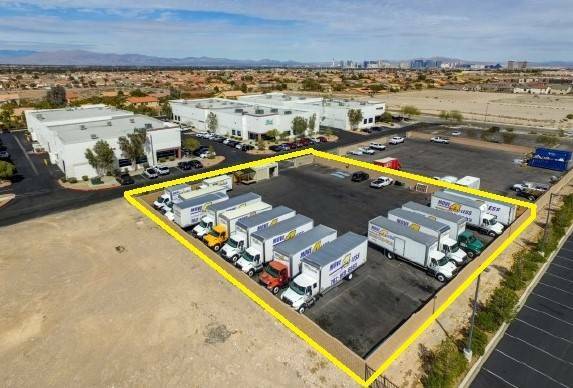 Michael R. LaBar and Michael L. Shaffner, first vice president investments in Marcus & Millichap’s Las Vegas office, had the exclusive listing to market the property on behalf of the seller, a developer. Azure Park is at 4757 Harrison Drive. • A sale to MYSK LLC. The 20,651-square-foot industrial property is in Stadium Industrial Park at 3950 Ponderosa Way, Building 3. The transaction value was $2,221,780. Greg Pancirov, SIOR, of RealComm Advisors represented the buyer and Mike De Lew, SIOR, of RealComm Advisors represented the seller, FJM Valley View Associates LLC. • A sale to Lumberjacks LLC Series B & Lumberjacks, LLC Series C. The 9,475-square-foot industrial property is in Sunset Pointe Industrial Center at 521 & 525 W. Sunset Road in Henderson. The transaction value was $1,516,000. Greg Pancirov, SIOR, and Mike De Lew, SIOR, of RealComm Advisors represented the seller, Sunset Pointe Group LLC. • A sale to McBeath Holdings LLC. The 9,845-square-foot industrial property is at 5151 W. Oquendo Road. The transaction value was $1,453,000. Greg Pancirov, SIOR, and Mike De Lew, SIOR, of RealComm Advisors represented the purchaser. • A sale to McBeath Holdings LLC. The 21,114-square-foot industrial property is at 3643 E. Post Road. The transaction value was $2,705,000. Greg Pancirov, SIOR, and Mike De Lew, SIOR, of RealComm Advisors represented the buyer. • A sale to Sherman Holdings LLC. The approximately 5,500-square-foot industrial property is in Davis Labs Building at 4175 W. Tompkins Ave. The transaction value was $1,065,000. Dean Willmore, SIOR, and Mike Willmore of Colliers International represented the seller, Linda R. Davis. • A sale to Diamond Buffalo LLC. The 0.58-acre land parcel is at 7632 W. Post Road (APN# 163-34-313-006). The transaction value was $350,000. Greg Pancirov, SIOR, and Mike De Lew, SIOR, of RealComm Advisors represented the purchaser. • A sale to Rocklin LLC. The 0.80-acre land parcel is at 2730 Brooks Ave. (APN# 139-17-510-032) in NorthLas Vegas. The transaction value was $312,000.00. Greg Pancirov, SIOR, and Mike De Lew, SIOR, of RealCommAdvisors represented the purchaser. • A sale to Cameron Partners LLC. The 1.59 acre land parcel is near Cameron Street and Pamalyn Avenue (APN: 177-06-201-024). The transaction value was $200,000. Vince Schettler of Colliers International represented the seller, Pamalyn Avenue Trust. • The sale of APNs 161-18-510-026 and 161-18-510-027 was completed on Aug. 9. The 0.87 acres is on Raymert Drive. The total value of the transaction was $150,000 Paul and Wil Chaffee and John Kirtley of Sun Commercial Real Estate Inc. represented the seller, M&M Management LLC. • A lease with Holy Land Health was completed on July 31. The 6,851-square-foot office space is at 8076 W. Sahara Avenue, Suite A. The total value of the transaction was $475,346.40. Paul and Wil Chaffee and John Kirtley of Sun Commercial Real Estate Inc. represented the landlord, Sahara Plaza LLC. • A lease with Doorway Home Loans was completed on Aug. 6. The 3,237-square-foot office space is at 1160 N. Town Center, Suite 150. The total value of the transaction was $193,540.23. Paul and Wil Chaffee and John Kirtley of Sun Commercial Real Estate Inc. represented the tenant, Doorway Home Loans and CBRE represented the landlord, CFT NV Development. • A lease with Las Vegas Sleep Center was completed on Aug. 7. The 2,398-square-foot office space is at 2400 S. Cimarron Road, Suite 130. The total value of the transaction was $162,777.08. 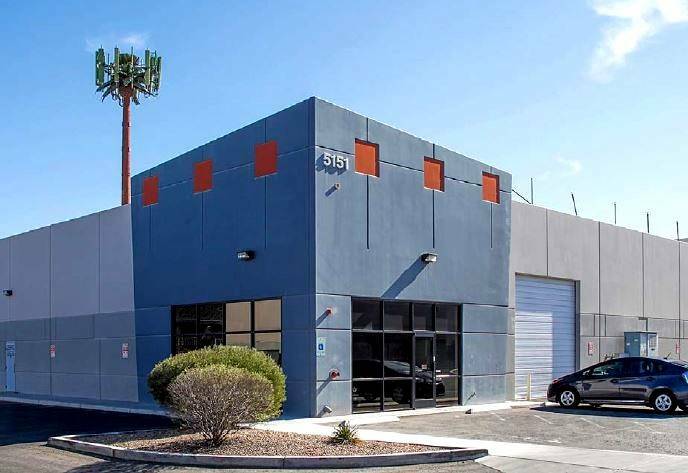 Renae E. Russo of Sun Commercial Real Estate Inc. represented the tenant, Las Vegas Sleep Center and North American Commercial represented the landlord, Cimarron Professional Plaza LLC. • The lease with Farmers Insurance was completed on July 31. The 1,425-square-foot retail space is at 5325 S. Fort Apache Road, Suite F. The total value of the transaction was $115,781.25. Rob Moore of Sun Commercial Real Estate Inc. represented the landlord, DeWitt Move Worldwide and Renae E. Russo, LEED GA of Sun Commercial Real Estate Inc. represented the tenant, Farmers Insurance. • A lease to United Cleaners. The 19,328-square-foot industrial property is in Henderson Commerce Center II Phase I at 7365 Commercial Way, Suite 100-110 in Henderson. Dan Doherty, SIOR; Paul Sweetland, SIOR; Chris Lane and Jerry Doty of Colliers International represented the lessee. • A lease renewal to West Edna Associates LTD. The 18,743-square-foot industrial property is at 5245 Procyon St. Dan Doherty, SIOR; Paul Sweetland, SIOR; Chris Lane and Jerry Doty of Colliers International represented the lessor, JPD Hayward Limited Partnership. • A lease to Mountain West Series of Lockton Cos. LLC. The 7,778-square-foot office property is in City Center West at 7251 W. Lake Mead Blvd., Suite 280. Patti Dillon, SIOR, and Taber Thill, SIOR, of Colliers International represented the lessor, 7251 West Lake Mead LLC. • A lease to Silver Reef Biomedical Services Inc. The approximately 4,500-square-foot industrial property is in Mojave Airport Center at 6285 S. Mojave Road, Suite E. Dean Willmore, SIOR, of Colliers International represented the lessor, BKM MAC 228 LLC. Alex Stanisic of Colliers International represented the lessee. • A lease to Telt Ventures LLC. The approximately 3,200-square-foot industrial property is in Patrick Airport Center at 6012 Topaz St., Suite 1. Dean Willmore, SIOR, and Alex Stanisic of Colliers International represented the lessor, BKM MAC 228 LLC. • A lease to Crop Data Management Systems Inc. The 3,019-square-foot office property is in Airport Corporate Center at 376 E. Warm Springs Road, Suite 220. Chris Connell and Grant Traub of Colliers International represented the lessor, Airport CC LLC. • A lease to Infinite Teach NV Inc. The approximately 2,400-square-foot industrial property is in The Center at Spring Mountain at 3870 Vanessa Drive. Alex Stanisic and Mike Willmore of Colliers International represented the lessee. • A lease to 7 Elements Nevada Inc. The approximately 2,000-square-foot retail property is in The Center at Spring Mountain at 3999 Spring Mountain Road. Chris Clifford, Steve Neiger and Brett Rather of Colliers International represented the lessor, Harsch Investment Properties. • A lease to Express Auto Insurance LLC. The approximately 1,200-square-foot retail property is in Paradise Marketplace at 3870 E. Flamingo Road, Suite A3. Al Twainy, CCIM, and Amelia Henry of Colliers International represented the lessor, Paradise Marketplace LLC. • A lease to Alexander Wong Floral & Décor LLC. The 1,101-square-foot industrial property is in Cameron Hacienda at 5340 Cameron St., Suite 16. Chris Clifford, Steve Neiger and Brett Rather of Colliers International represented the lessor, VTT- Cameron Properties LLC. • A lease to Portillo’s Wireless Centers Inc. The 1,062-square-foot retail property is in Paradise Marketplace at 3830 E. Flamingo Road, Suite C1. Al Twainy, CCIM, and Amelia Henry of Colliers International represented the lessor, Paradise Marketplace LLC. • A lease to Great Clips. The 1,048-square-foot retail property is in Horizon Town Center at 1331 S. Boulder Highway, Suite 100 in Henderson. Scot Marker of Colliers International represented the lessor, CIII Asset Management. • A lease to VIP Express Courier Service LLC. The 604-square-foot office property is in Scottsdale Plaza at 8830 S. Maryland Parkway, Suite 100. Chris Connell and Grant Traub of Colliers International represented the lessor, SREF Scottsdale Plaza LLLP. • A lease to Dark Moon Coffee LLC. The 1,600-square-foot retail property is in Maryland & Eastern Center at 11041 S. Eastern Avenue, Suite 115 in Henderson. Greg Pancirov, SIOR, and Mike De Lew of RealComm Advisors represented the landlord, Eastern Sunbridge Group LLC. • A lease to N & L Investment Corp., d/b/a Benjamin Franklin Plumbing. The 1,909-square-foot industrial property is in Valley Freeway Center III at 7705 Commercial Way, Suite 115, in Henderson. Greg Pancirov, SIOR, and Mike De Lew of RealComm Advisors represented the landlord, Valley Freeway Industrial Park LLC. • A lease to Tasco Auto Color Corp. 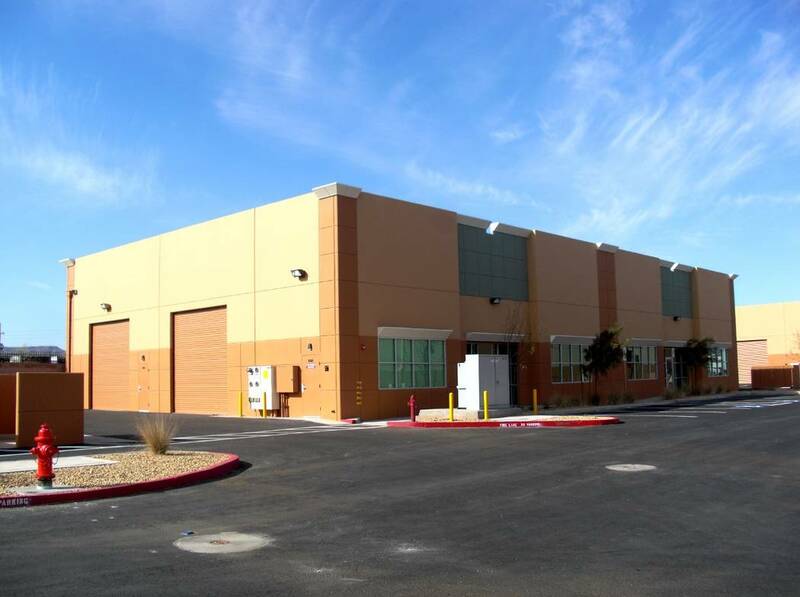 The 3,875-square-foot industrial property is in Sunset Pointe Industrial Center at 577 W. Sunset Road in Henderson. Greg Pancirov, SIOR, and Mike De Lew of RealComm Advisors represented the landlord, Sunset Pointe Group LLC. • A lease to NetGreat LLC. The 3,875-square-foot industrial property is in Sunset Pointe Industrial Center at 573 W. Sunset Road in Henderson. Greg Pancirov, SIOR, and Mike De Lew of RealComm Advisors represented the landlord, Sunset Pointe Group, LLC. • A lease to Dynatel Inc. 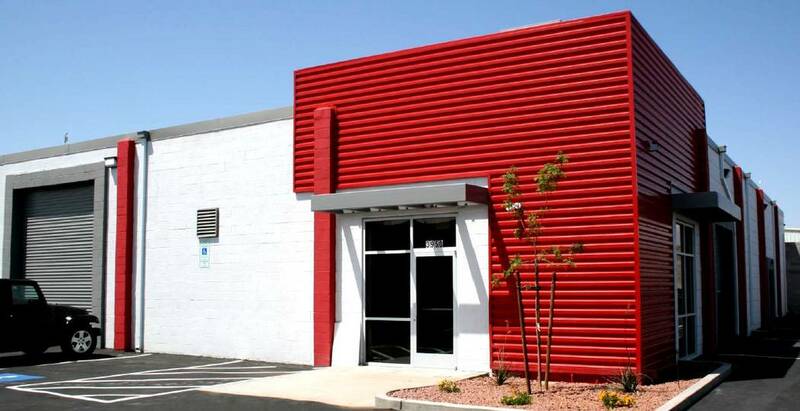 The 3,875-square-foot industrial property is in Sunset Pointe Industrial Center at 565 W. Sunset Road in Henderson. Greg Pancirov, SIOR, and Mike De Lew of RealComm Advisors represented the landlord, Sunset Pointe Group LLC. • A lease to Ice Now NV LLC. The 13,293-square-foot industrial property is in Decatur Crossing II at 6420 Cameron Street, Suite 203, 204 and 205. Greg Pancirov, SIOR, and Mike De Lew of RealComm Advisors represented the landlord, York Decatur Crossing LLC. • A lease to Ernest Packaging. The 60,480-square-foot industrial property is in Blue Diamond Business Center at 3939 W. Windmill Lane, Building 6. Greg Pancirov, SIOR, and Mike De Lew of RealComm Advisors represented the tenant. • A lease to Panera Bread. The 5,431-square-foot retail property is in Galleria Pavilion at 605 Mall Ring Circle No. 140 in Henderson. Scot Marker of Colliers International represented the lessor, CIII Asset Management. • A lease to Silver State Health Insurance Exchange. The 2,131-square-foot office property is in Stephanie Beltway at 150 N. Stephanie St. in Henderson. Patti Dillion, SIOR; and Taber Thill, SIOR, of Colliers International represented the lessor, Valley View Center LLC. • A lease to Smile Direct Club LLC. The 1,924-square-foot office is in Fort Apache Commons at 1225 S. Fort Apache Road, Suite 110. David Grant, Grant Traub and Chris Connell of Colliers International represented the lessor, LJT Properties I LP. • A lease to 20/20 Chiro Yoga. The 1,301-square-foot retail property is in Lynden Square at 6125 S. Fort Apache Road, No. 208. Scot Marker of Colliers International represented the lessor, 6105 Apache LLC. • A lease to Salsa Latina LLC. The approximately 1,200-square-foot retail property is in Green Valley Town and Country at 2788 N. Green Valley Parkway in Henderson. Scot Marker of Colliers International represented the lessor, CW Asset Management. • The lease with Bidami.com LLC was completed on Aug. 15. The 2,852-square-foot retail space is at 1801 S. Rainbow Blvd., Suite 110. The total value of the transaction was $105,783. Lisa Hauger and Timothy Erickson of Sun Commercial Real Estate Inc. represented the landlord, The Peiterson Limited Partnership and KW Commercial represented the tenant, Bidami.com LLC.